If you are looking for a lunch or dinner that is quick and delicious, keep on reading! 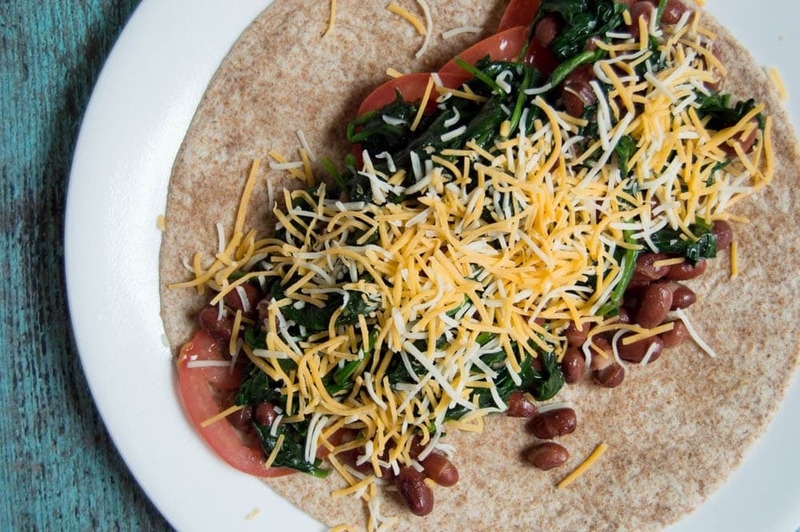 This Sauteed Spinach and Red Bean Wrap is a simple healthy lunch or dinner with fresh spinach, red beans, plum tomatoes, and Colby Jack Cheese. 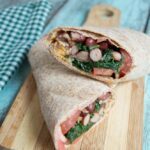 If you don’t want to keep it vegetarian, feel free to add some pre-cooked chicken breast or tuna to this sauteed spinach and red bean wrap. Want to think outside the box? Add eggs for a wholesome breakfast! 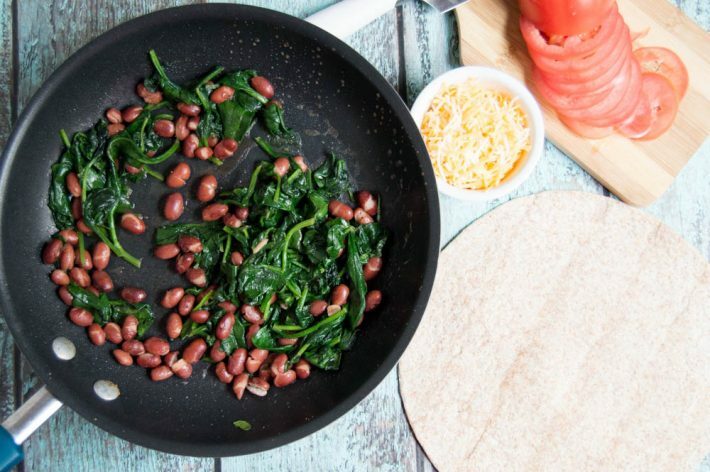 It makes it so much easier to make healthier choices when you have quick and easy recipes like one. Heat olive oil in a saute pan over medium heat. 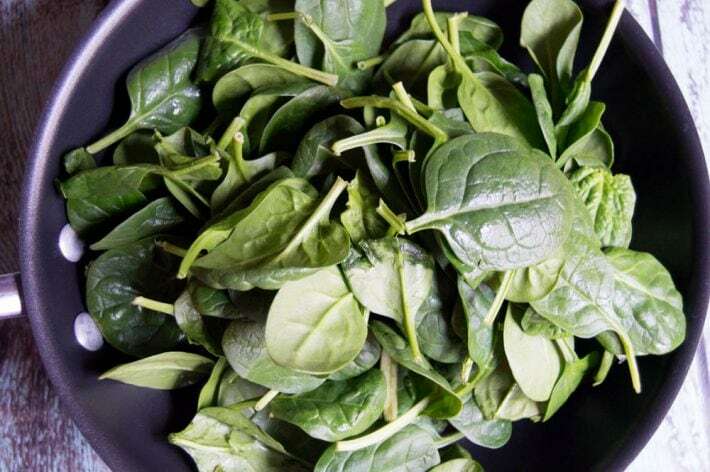 Add spinach and saute until wilted. Add beans and stir until heated through. While mixing, add salt, pepper and garlic powder. 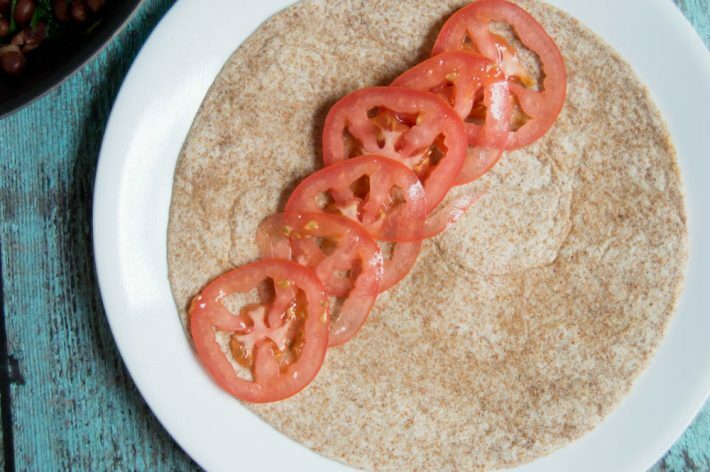 Layer tomato slices to the wrap, overlapping a bit. Add spinach and bean mixture on top. Sprinkle with cheese. 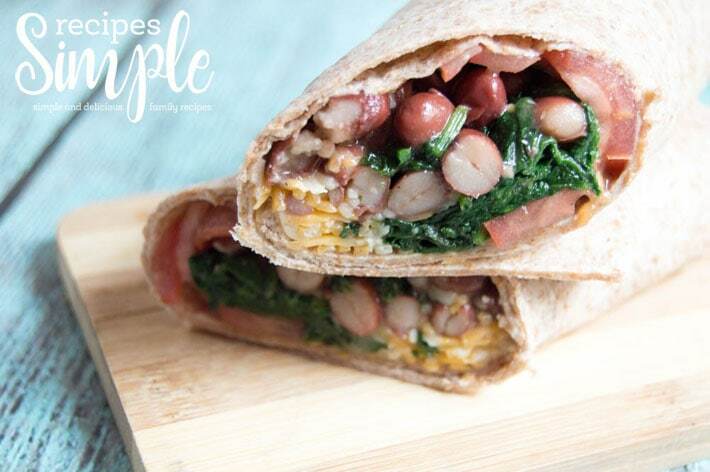 Roll the wrap and slice. 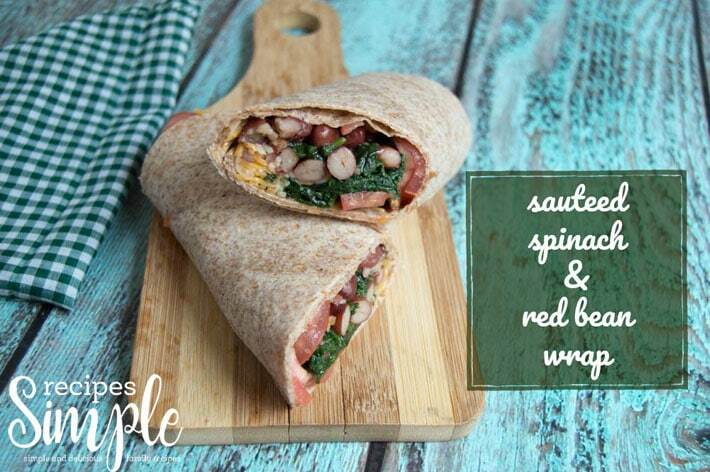 This Sauteed Spinach and Red Bean Wrap is perfect for a quick and delicious lunch or dinner. Heat olive oil in a saute pan over medium heat. Add beans and stir until heated through. While mixing, add salt, pepper and garlic powder. Add spinach and bean mixture on top. 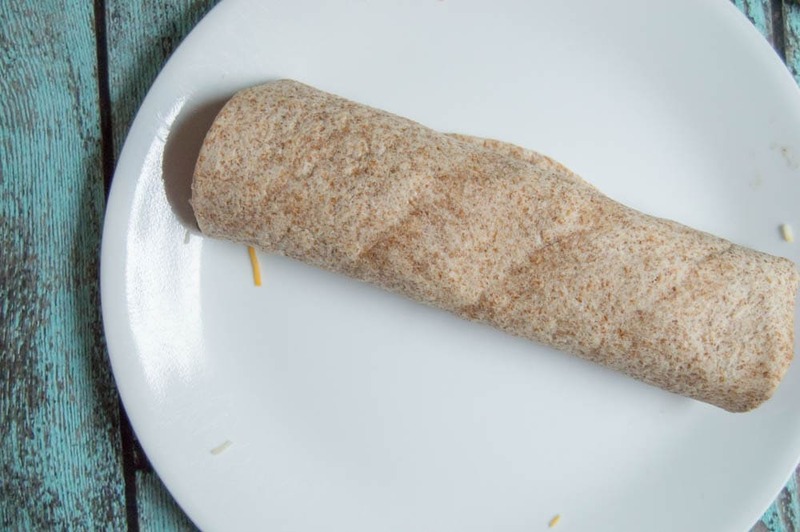 If you are cooking for more than one you can double or triple the recipe to make more wraps.